Learn proper lifting mechanics with the barbell. Build strength and speed with explosive movements. Conditioning work is to be expected. Work on bench, squat and deadlift strength and efficiency. 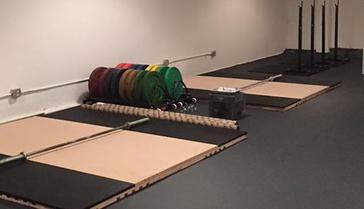 This 1800 square foot subterranean facility offers all you need to get strong. Learn the fundamentals of weightlifting and challenge your body with every workout. You will get strong here with the support of amzing coaches and fellow lifters. OGSF is owned and operated by Linda Chungchootairong. 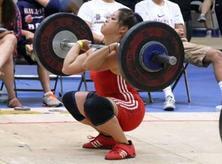 She is a competitve Olympic Weightlifter with 10 years of personal training experience. She has a Masters in Sports Psychology, a Bachelors in Kinesiology and is also an U.S. Army veteran. Her dream was to open a female friendly lifting gym. With a monthly fee you get to choose one program, access to open gym and clinics. The program you chose is dependent on your fitness goals which you will discuss with your coach. Fitness goals are constantly changing therefore you will have the freedom to move between programs although it is recommended that you stick to one program for at least 4 to 6 weeks. OGSF also offers personal and small group training. This is a great option for those who want more individual attention or preparing for an event. Email to schedule a consultation. $30 class drop-ins. $10 open gym.